Vasu Menon, Senior investment strategist, OCBC Bank shares more about how escalation of fighting in Libya would affect oil supply and prices, as well as preview of the earnings season. Vasu Menon, Senior Investment Strategist, OCBC Bank shares what investors should be keeping an eye on in the markets, including Apple's announcement on its latest service offerings, the Yield inversion, and Brexit. 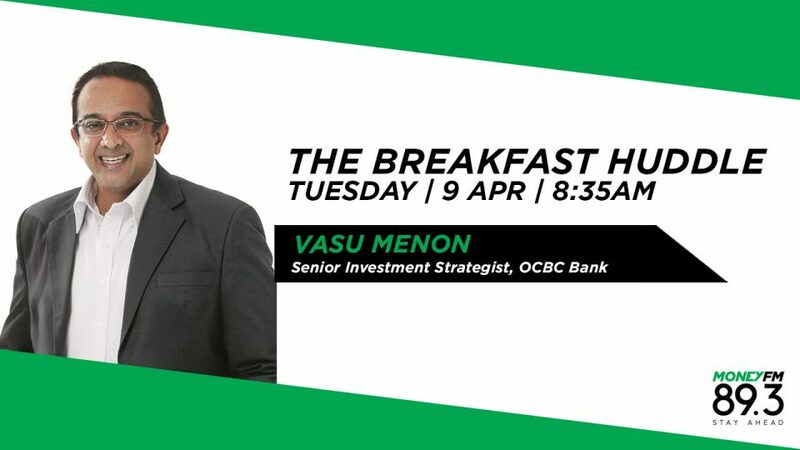 Vasu Menon, senior investment Strategist, OCBC Bank breaks down some of the biggest headlines and shares how it might impact markets. Vasu Menon, Senior Investment Strategist, OCBC Bank explains what to expect from the markets especially since the Trump-Kim summit 2.0 in Vietnam will take place this week. Vasu Menon, Senior Investment Strategist, OCBC Bank shares what investors should keep on their radar today including, warning signals from Apple and Samsung, China growth worries and the upcoming FOMC meeting.